Anders is a 34-year old who, after having been a drug addict for a long time, is finally about to complete his rehabilitation program. Before he is fully discharged, he gets a leave permit for a job interview in Oslo. During his brief stay in Oslo, he decides to meet some of his old friends ahead of taking an important decision. Oslo, 31. August is based on the book Le Feu Follet by Pierre Drieu La Rochelle, which was inspired by the life of French intellectual and Dada artist Jacques Rigaut. The great Louis Malle adapted the same book for the screen in 1963. 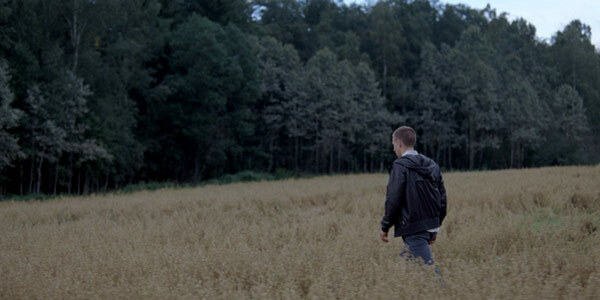 Joachim Trier’s version is far less concerned with style than Malle’s black and white masterpiece and rather focuses on Anders’ emotional void, motivations and overlook on life, successfully giving the character a realistic and unassuming dimension. Differently from Malle’s Alain, Anders is more of an authentic character, with a personal story which the spectator can actually relate to. Anders, even under the influence of a well-off family and with a good education to support him, is viscerally a maladjusted human being, with no real prospects in life. For him, drug addiction has been mostly a way out from the existential wasteland of his generation. His friends, beneath a reassuring bourgeois surface, reveal to be suffering from the same malaise, although they successfully achieve to hide it by clinging to widely acceptable social conventions. The film is developed unpretentiously and it doesn’t even try to grab at all costs the attention of a certain audience by exaggerating the weight of the drug addiction theme. The elegant use of the camera and the alluring cinematography are just two of the aspects that alone make the film worth watching; the acting is yet another. All actors are to praise for their performances, but Anders Danielsen Lie really does a wonderful job in the role of Anders. We cannot help feeling sincere concern for the man, we are truly made to care about his character. As Anders wanders through the city of Oslo alone, as he speaks with his former friends and acquaintances, as he overhears other people speaking about commonplaces or simply observes them carrying on with their own lives, we are offered a valuable insight on his personality. The editing perfectly conveys the sense of emotive alienation that the main character is experiencing. The scene with Anders sitting alone at the café, a truly wonderful exhibit of cinematic art, is one of the most poignant things I have seen in movies recently. Sound and image follow different directions and yet, we are given a perfect sense of space and time that creates a higher conceptual unity. The sun shining, young girls laughing, an unknown woman rushing home, cars passing by: haven’t we all seen our summers end like this at some point, and perhaps even enjoyed for a fleeting moment a piercing sense of loneliness that knows no tomorrow? Oslo, August 31st encloses many heartbreaking little episodes, like the aforementioned café scene or the piano scene towards the ending, that are special for they do not speak directly about feelings; instead, with just silent and suggested implications, they manage to communicate to the viewer only what’s relevant to know. For this reason, the only criticism for Joachim Trier’s film that comes to mind concerns its conclusion, which perhaps gives away too much and in too little time. Oslo 31. August is in competition at RIFF 2011 in the New Visions category. Some critics catalogue the films of Joachim Trier with the words” new nordic cinema of the absurd”,together with films of directors like Jens Lies( “Bothersome man “,a very interesting movie ,shooted partially in Sprengisandur ,Iceland ),Lars Von Trier (“The boss of it all”),and Lukas Moodysson(“Container”).